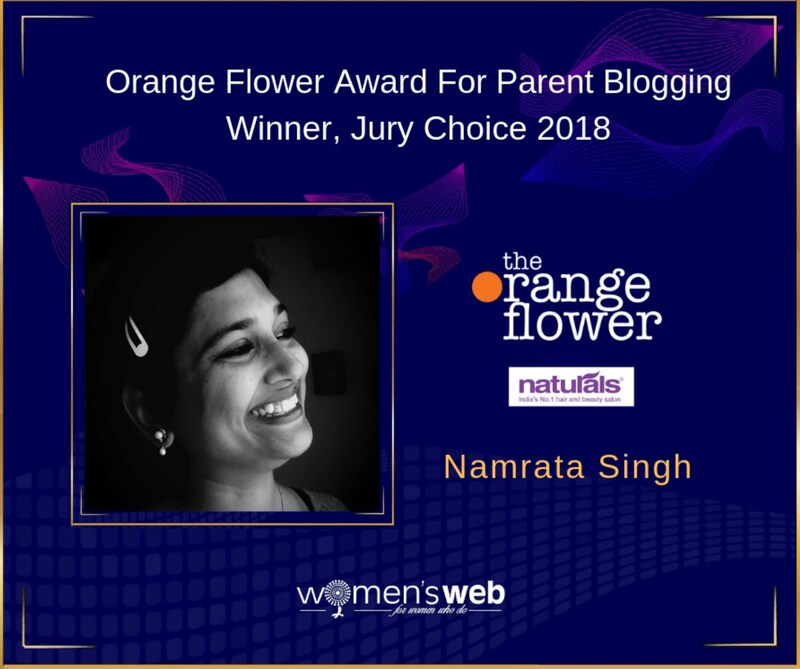 Four Clover Life- By Namrata Singh: Meaningful Parenting- Did you talk about them to your child today? Meaningful Parenting- Did you talk about them to your child today? Unfortunately, there is no such program, no study center which coaches for this exam and no teacher who specifically teaches this. There is no recognition for this nor a certification. I wonder if this is considered a gift or a talent? It’s called the Gifted and Talented Gratitude and Respect program. This program aims at cultivating the values of respect and gratitude in children and recognizes/awards those who show exemplary behavior in this field. It plays a significant role in how you shape his thoughts, attitudes and behaviour patterns. Apart from developing verbal skills and making a child adapt to the society at various stages of his life, communication, starting early in life between parents and child fosters bonding, strengthens self-understanding of the child, relationships around him, activities around him and a better view of the world appropriate for that age. Think for a moment- What did you talk to your child today? Apart from repetitive routine instructions as the day starts and few phrases of ‘good job’ and ‘that was not nice’, do you initiate more meaningful conversations with your child. Maybe just once in a day? A conversation we don’t usually initiate and conversation which need to be initiated. Not for anything but for the fact that they are of immense value and easily undervalued, need attention and easily forgotten. I have on my list 4 areas which need 'meaningful conversation' with your child every now and then. And not only conversation but also 'walking the talk' so that the sense of 'Gratitude' and 'Respect' develops in them more out of their own feeling rather than as an instruction passed down by parents or teachers. This is parenting by talk and parenting by walk. May I take the liberty to use the word 'SOLDIER' for Armed Forces of all kinds in any country who stand for their country protection and its people's safety? Have you purchased a book on 'soldiers' ever? As in like EVER? Think about it-When is the last time you talked to your child about a ‘soldier’? I didn’t. And I feel bad about it. I could have easily spoken to by three-year-old about a soldier- "who stays on the mountain and protects us." Or my school going child about the soldier “who didn’t come home for a festival because he is out there at the border of the country protecting us" or my teenager about a soldier in Uri whose sense of duty for the country and its people made him give up his life leaving behind a bereaved family who needs our support. I sometimes remember them on festivals or Independence Day but we are hardly cognizant of the fact in our everyday life that we sleep safe and sound because someone is out there awake only for us with 'life' dancing on his fingertips. Don't we want our children to realise the importance of 'armed forces' in our life? Is it so hard to make age appropriate conversation around this so that next time, when my child sees a soldier passing by, he gets up and salutes and shouts- "I am so proud of you. Thank you for being there." Is it too much to ask for if not anything more? "My life will not and should not stop but my choices cannot be limited to my own self all the time. At the time when I choose to go and enjoy a movie paying $15 or Rs.1000 at a movie theatre, with the same vigour I should reach out to any forum which demands my attention financially, physically or emotionally to support them and be with them." Think about it. When is the last time you spoke to your child about food? Not the usual instruction “Don’t waste food”. The not so usual conversation as to how does this food come to his plate and the farmer’s role in it. We take food so much for granted. And the harsh truth is that if the stomach is grumbling right now, I or you won’t be sitting on our warm couches, sofa, armchair and staring at the expensive computer screen. Before each meal, how about devoting 15 seconds in praying for the farmers and thanking for the food served. When is the last time you spoke about your elderly parents and stories related to them? Stories of adversity and misfortune. Stories of efforts and rewards. Stories of family bonding, love and care. Storytelling is a great activity for learning and increasing their awareness of the world around them. In such stories about grandparents and ancestors lies a wealth of information about various places, practices in life, relationships, etc. Most of the stories depict good and bad characters, vice and virtues, life lessons and listening to stories will help children to have an idea of the accepted style of behaviours in the family, its cultural roots and moral issues. Also, talk about how everybody gets old, frail and loses vitality and seek care and comfort in the company of his family. Just how valuable are the experiences of older people and the life lessons they can enlighten us with. 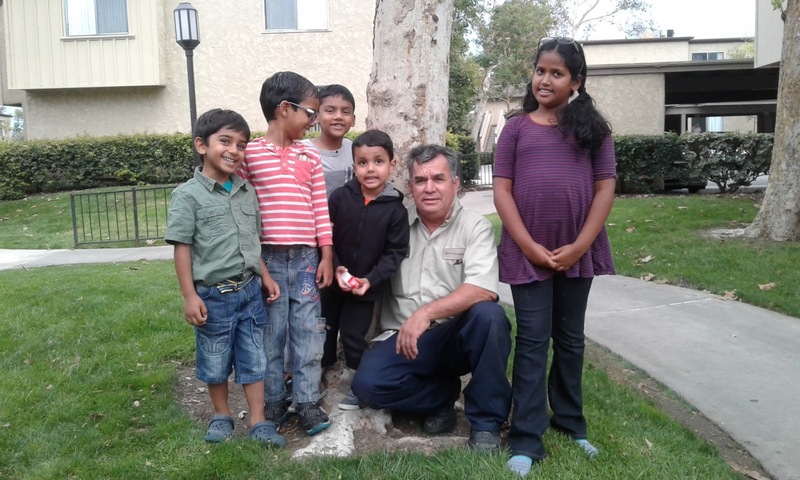 They are precious and so are their stories. They need our compassion and respect. The best way to teach is to reach out to your parents and set an example for your child. ITALO and many others like him. 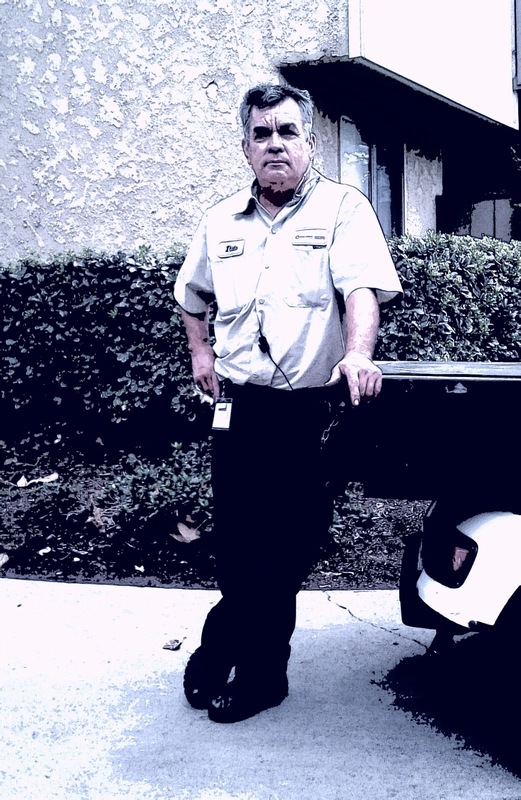 He is the Deerfield Apartments -Irvine- California- Maintenance person. He is responsible for fixing all that 'goes wrong inside and outside the apartment'. What he does is important but how he does is a learning for all of us.He is exemplary and so are many others like him who make their hands mucky, greasy, soiled and sooty so as to keep our hands clean and fragrant. Italo and many others like him go about their 'job' as if it was a 'calling' of their life. Be it fixing a broken tap, a wet wall, cockroaches infestation, filling up of crevices or clearing a sewage pipeline-----------------Italo does it with sincerity, promptness and smile. He not only closes his work order but also inquires about those which are not part of his work order list. The other day he left me speechless when he said," I have fixed the bathroom tap. While I was working I noticed that the exhaust fan makes a lot of noise. I think I can fix that. Let me do it for you." And when he closes a work order, he leaves behind a smiling face filled with a sense of awe- how does he do his job with so much of respect and joy? Food for thought for sure. Because it’s not about the nature of the job. It’s about respecting all jobs irrespective of what it touches. Either a drain pipe, a broken cabinet door or a sophisticated computer. Gratitude and Respect can be taught. The best is when its cultivated by parents as they go about everyday life. This is my list. You may have yours. These people naturally gravitate you towards them for what they are. When you talk about them you set theoretical values for your child. When you walk the talk, those values further get deeply instilled.The idea is to develop sensitivity in our children. A sense of respect and value for what otherwise looks appears regular and mundane. Not to make them feel guilty but grateful. 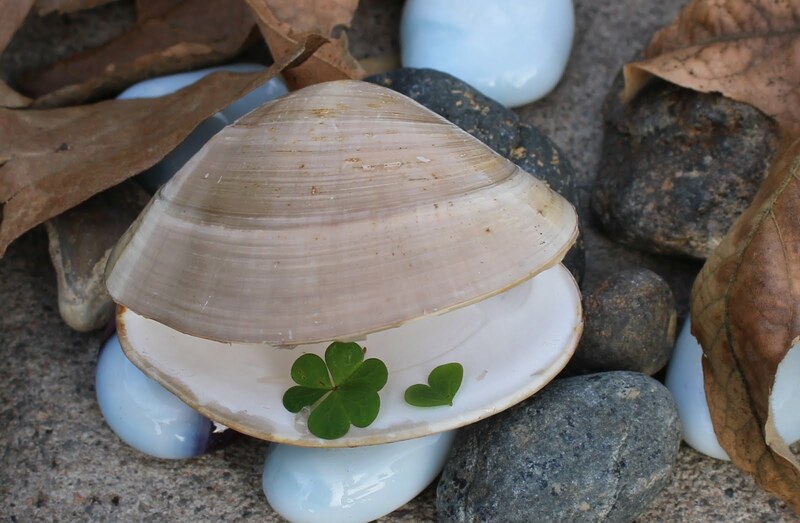 For more such articles on Meaningful Parenting, Mindful Eating and Well-being, Please visit Four Clover Life at http://www.fourcloverlife.com/.I do not promise that your life will change, I can only promise that you will make a wonderful turn towards POSITIVITY and GRATITUDE.